The Spider symbolizes not just who we cheer for, but who we are — a university every bit as unique as our beloved Spider symbol. But we don’t really know how we got the name. 'A Spider publication for Spiders’ — so declared the masthead of Vol. 1, No. 1 of The Collegian in November 1914. The issue’s first headline began with the word “Spiders,” too. Using language we wouldn’t use today, the lead article celebrated a 32-0 victory over the College of William & Mary. Tellingly, the first use of “Spiders” in the article itself refers not to the team but to “the band of Spider ‘rooters,’” i.e., the fans. William & Mary was a familiar foe by this point — this was already the teams’ 20th game against each another — and “Spiders” was by then a familiar term for describing the students of Richmond and Westhampton colleges. The yearbook had been called The Spider since the 1890s, for example. A search for the terms “Spider” and “Spiders” in the The Collegian’s first decade returns more than 2,100 results. The historical record is clear that our identity as Spiders transcended its athletics origins soon after students started using it. But the historical record is less clear about why, exactly, Richmond’s and Westhampton’s students and alumni came to start calling themselves Spiders. Or how it happened. Or even when. Here’s the story as it has usually been told: In the early 1890s, we were known as the Colts. However, in 1894, a sports reporter named Evan Ragland Chesterman likened a lanky-limbed pitcher named Puss Ellyson [top image, back row, third from left] to a spider in his Richmond Times-Dispatch column “Chips from the Diamond.” Voilà, we were the Spiders. A few years ago, law school library deputy director Joyce Manna Janto decided to write about the Spider’s origins on “Muse News,” the Muse Law Library’s blog, so she went looking for the original article. “That’s when I ran into trouble,” she wrote. Memory mixed with desire ... one era's conjecture became another's source to cite. The errant details piled up. There was no Richmond Times-Dispatch in 1894; the Times and the Dispatch didn’t merge until 1903. There was a Dispatch writer named Evan Ragland Chesterman, but as far as Janto could find, he never wrote any articles or books about sports. She also couldn’t find a single instance where we’d ever been called the Colts. Janto has serious research chops. As an LSAT logic question might put it, a Google search is to her what a slice-and-bake cookie is to a D-Hall pastry chef. 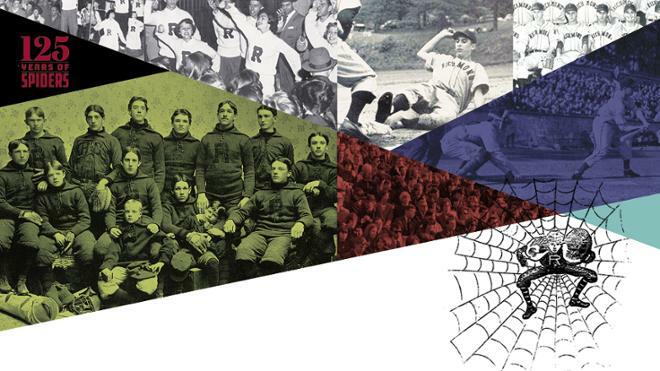 She dug way deeper, conducting a Boolean search of a newspaper database for 1890 to 1894: “Richmond and base ball within 10 words of Spider.” This turned up a game account and box score for a Richmond College team nicknamed the Spiders from 1892, two years earlier than the familiar story tells us. The Spiders’ opponent? A team from south of the James River called the Colts. The stories that have come down to us today seem to begin with a brief and general 1897 yearbook account (a volume edited, curiously enough, by the aforementioned Chesterman). From that point, memory mixed with desire, to paraphrase poet T.S. Eliot. Subsequent contributors molded their predecessors’ theories and speculation into something more like fact while layering on fresh details. One era’s conjecture became another’s source to cite. The precise origins of our Spider identity are likely unverifiable at this point, absent a time machine. But there’s no denying that somehow, some way, something happened that gave us the name the Spiders. And we’re very proud to claim it. Who first called us Spiders? How was the remark intended? To whom or what was the remark directed? “A base-ball team composed of amateur players then resident in Richmond called the Richmond College team” in the Tri-City League. Likely as a compliment, “because they reminded him of the Cleveland Spiders” of MLB. “A group of college boys living in Richmond, not all of them Richmond College boys” on a baseball team in the Tri-City League. Most likely “an “observer,” and it was then “gradually” adopted by the press. Unknown, but first in print in July 1893. “A spectator. … The crowd took up the cry. Next morning, the term ‘Spiders’ appeared” in a newspaper column written by Evan Ragland Chesterman, L1896. “A spectator … the crowd took up the chant and the following morning Mr. Evan Ragland Chesterman applied the term “Spiders to the team in his column in the Dispatch.” No date given, but centennial celebrated at Homecoming, Oct. 16, 1993. “You guys look like a bunch of Spiders trying to play ball,” says the lore. 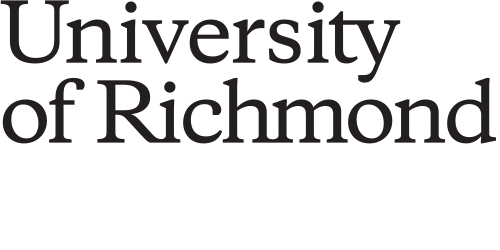 In the fall of 2018, Crutcher announced the formation of the Presidential Commission on University History and Identity, which will explore how Richmond preserves its history, re-examines its past for previously excluded stories, and recommends ways to acknowledge and communicate its history inclusively. The commission’s co-chairs are Edward Ayers, emeritus president, and Lauranett Lee, a visiting lecturer in the Jepson School of Leadership Studies and the founding curator of African-American history at the Virginia Historical Society. Both of them “bring nationally recognized expertise, a deep knowledge of Richmond’s history, and a compassionate moral compass to the task,” Crutcher said.